Daniel Gonçalves, one of the lead researchers of the TangIn team was invited to share with ETH Zürich researchers the work being done in the project to promote tangible programming in formal education. 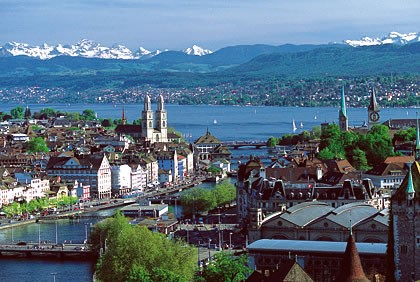 ETH Zürich is considered to be, one of, if not the best, technical school in Europe and usually ranks Top 5 in the world for science and engineering. The school accounts with 21 Nobel laureates in its belt, including Albert Einstein, and has also an Institute for Research on Learning and Instruction that reached to us and welcomed us for a very pleasant meeting overlooking the Alpes and Lake Zurich. Having as hosts Professor Esbeth Stern, Professor Bernd Gärtner and Sabine Jaboc who is pursuing her PhD studies we came to know that ETH is not only looking to have some of the brightest and exceptional minds but actually trying to make those individuals less exceptional by investing in research education and early on interventions in kids to advance society. And here is where the bread meets the butter! Being Tangible Programming one of the aims of their research, we share common interests and experiences in what might be a start for future collaborations and eventually exposing young swiss minds (probably from the 1st grade) to TangIn resources and final Toolbox. Stay tuned and Vielen Dank lovely Zuerich! Professor Bernd Gärtner from the Institute of Theoretical Computer Science Empirical Learning and Instruction Research and head of the Institute of Behavioral Sciences and co-founder of the Kinderlabor initiative with the aim of reaching young learners and making disciplines such as computer science become both distributed and accessible. Sabine Jaboc is pursuing her PhD by investigating short-term and long-term effects of preschool intervention programs dealing with concepts from Computer Science.